You want to start (or already have) a YouTube channel? Great! 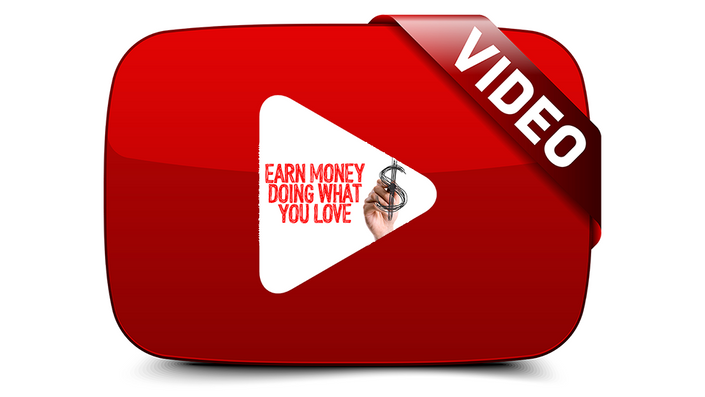 I will tell you EXACTLY how set up your YouTube channel for success. That means you're going to create one from scratch, or hammer the hell out of your existing one. In other words, we're going to transform you into a YouTube ninja! Take a look at the course outline below. It's everything. Really. Absolutely! I tell you what to spend your time working on, and what is a complete waste of time. WARNING: This course is not for the faint of heart. You're going to have to DO something. This course is meant to be applied, in the real world, by you. Maybe you have to courage to do it. I've successfully done it with thousands of others. The entire How To Succeed On YouTube course - 146 videos (almost 5 hours of video lectures) which are downloadable, checklists and templates, quizzes, access to all updates and new content added to this course, and access to the invitation only Online Group where you can interact with and ask questions of people who took this course and the instructor, watchable on any computer, smart phone or device, and, access to this course and all updates - FOREVER! Click the arrow above to see FOUR MORE FREE previews and the course curriculum - 146 lectures, course materials, quizzes and bonus content! The course starts now and never ends! It is a completely self-paced online course - you decide when you start and when you finish. You can even put this on your resume! How does lifetime access sound? After enrolling, you have unlimited access to this course for as long as you like - across any and all devices you own. Forever. Then you're a terrible person. Just kidding! If you're unsatisfied with your purchase in the first 7 days, let me know and I'll give you a full refund. Why so cheap? I want you to have this information, and, I just felt like seeing how may people will take (or not take) this silly low price offer for the short time it's available. I am revamping this course from TOP to BOTTOM this year, so I'm giving everyone a chance to grandfather in. Call it a social experiment, call it a sale, call it whatever you like - it's a steal. EVERYTHING you need to start that successful YouTube channel! A monthly payment plan for those on a budget. 3 monthly payments of $133= $399.